Last summer my husband and I finally decided that it was time to stop pretending like our teenage metabolisms were still working and actually start exercising and eating right. At first I was overwhelmed with all the advice, apps, challenges, and programs that are out there. I felt like I would never know where to start, and never find something that worked for me. After trying a few things though, I settled on using these two apps to track my diet, exercise, and overall sense of well being which is what staying healthy is all about right? Free. Simple. Effective. This app turns your phone into your own personal trainer. 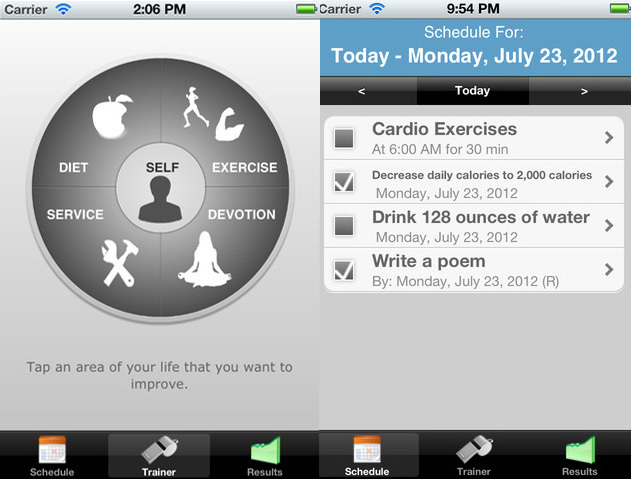 It allows you to customize a schedule for not only exercise, but diet, service, devotion, and self. It then reminds you to complete your schedule, and tracks your progress. You can choose just one area to focus on, or you can use the app to help balance all areas of your life. I really loved this aspect of it because I believe that unless you are well rounded, you won’t feel truly healthy. P.S. those of you who are thinking “nah, I don’t need reminders!” when was the last time you went to the gym……..? just sayin. Best. Thing. To. Ever. Happen. To. Me. This app is basically an input/output calculator. You record the calories you take in, and minus the calories you burn through exercise. It helps you track how many calories you need daily to lose the weight you don’t want. This was the best thing ever for me because I was super anti counting calories. I thought it was tedious and that I was probably doing just fine with what I ate. I was b l o w n a w a y though by how many calories I actually was eating. The best part about the app is that after using it for a little while I stopped craving high calorie foods because I knew that I would have to report them. Plus, I began to learn what foods are higher in calories and it made it so much easier to avoid them. The app never felt tedious because almost every food imaginable is loaded into to it, so it is super easy to report your calorie intake. You may have another need for your fitness routine but for me, these two apps covered everything and allowed me to reach my goals. Good Luck!! Bonus Tip: Go buy some new work out clothes and just do it! Good one! I also have this one app in my phone called My Diet Coach. It's the best app ever! It helps me win the mental game of dieting. 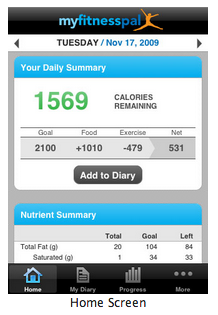 Love MyFitnessPal, especially the fact that they have all the foods in there you could need info on! 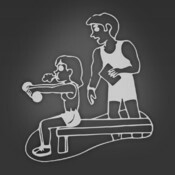 I recently started a "Shaping Up For Summer" link-up, which will run every Saturday through May, and I would LOVE it if you wanted to link up your fitness posts. Hope to see you there!